Whos laughing now? Not Ash, the hero of Sam Raimis cult-classic film Evil Dead II. 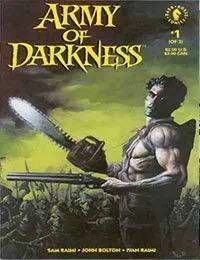 Armed with his chainsaw and shotgun, Ash finds himself stranded in the Middle Ages battling the resurrected armies of the dead!